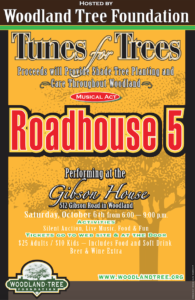 Proceeds from the concert support the work of the Woodland Tree Foundation, a non-profit, all-volunteer organization that plants and cares for trees in the Woodland area, including planting free shade trees for Woodland residents through the Neighborhood Shade Tree program. To date, Woodland Tree Foundation volunteers have planted and cared for more than 4,700 trees. The family concert includes a silent auction featuring gift baskets with local wines, gardening items, and other fun prizes. A delicious and healthy dinner will be served. Tickets, $25 for adults and $10 for kids include dinner and a soft drink. Local craft beers and local wines will be sold separately. 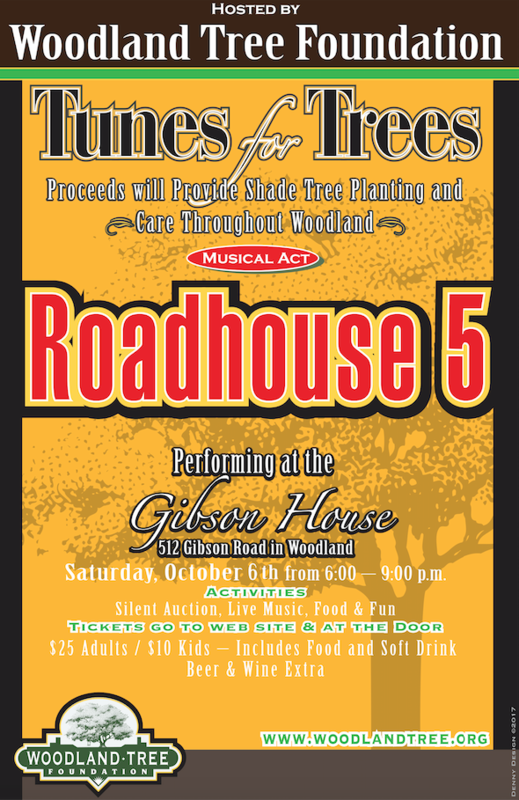 Tickets are available at the concert, from Woodland Tree Foundation members or by using the form below.